Solutions By Industry | On Your Six Systems, Inc.
You have a business to run without having to worry about your computer systems. On Your Six Systems, Inc. offers managed information technology services allowing you to forget about IT and letting you focus on what you do best: run your business. Utilize your high-speed Internet connection to make crystal clear quality phone calls at a fraction of the cost of what you pay now. We have solutions for both business and home. We have a number of services available, including cloud hosted phone systems and on-premise phone systems (PBX). If you have tele-work employees or multiple small offices, we have solutions that can help you save money. 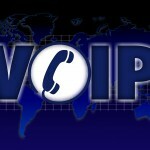 Call us today to talk with one of our consultants who will work with you to identify your needs and recommend solutions to help your business use VoIP technology to save money. We have solutions to help you save money. Our service can utilize your existing phones (where appropriate) or cordless handsets that use the latest wireless technology to offer you crystal clear calls with using wireless technology that protects your privacy. Do you need fax capability without a fax machine? We have a solution for you. You can have a local virtual fax number for a small monthly fee. We host the fax server you get reliable fax service without the need for a physical fax machine. Best of all, you can retrieve your faxes from anywhere. Contact us today for more information or to get your fax service started today! SecuriSync file sync and share service enables intuitive collaboration and mobility while keeping company data secure and protected. SecuriSync keeps files and folders in sync across every device—and makes it simple to share those files inside and outside of the company. For employees, SecuriSync will make them more collaborative and more mobile. Business owners and managers will like ShareSync because the comprehensive security features, permissions-based sharing and 99.999% SLA mean there’s no sacrifice in control, security or reliability. Additional storage capacities available. Bulk pricing available for 10 or more users. 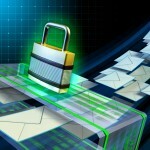 Some organization may need secure and compliant email. Organizations that must be SOX or HIPAA compliant have additional security requirements for protecting email. If you process healthcare information, you need a solution that is HIPAA compliant to ensure electronic health information (ePHI) is protected. On Your Six Systems, Inc. can help you implement a secure, compliant, cloud hosted solution. 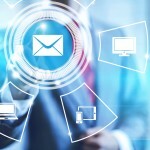 Our solution eliminates the need for an onsite email server and the support and maintenance that goes along with it. Contact us today for a free consultation or to get started.